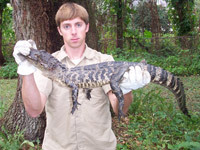 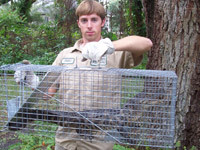 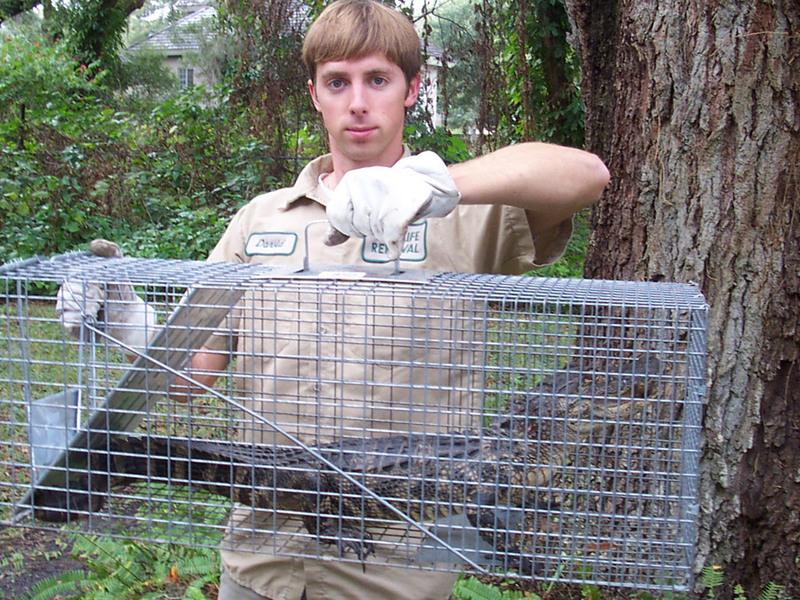 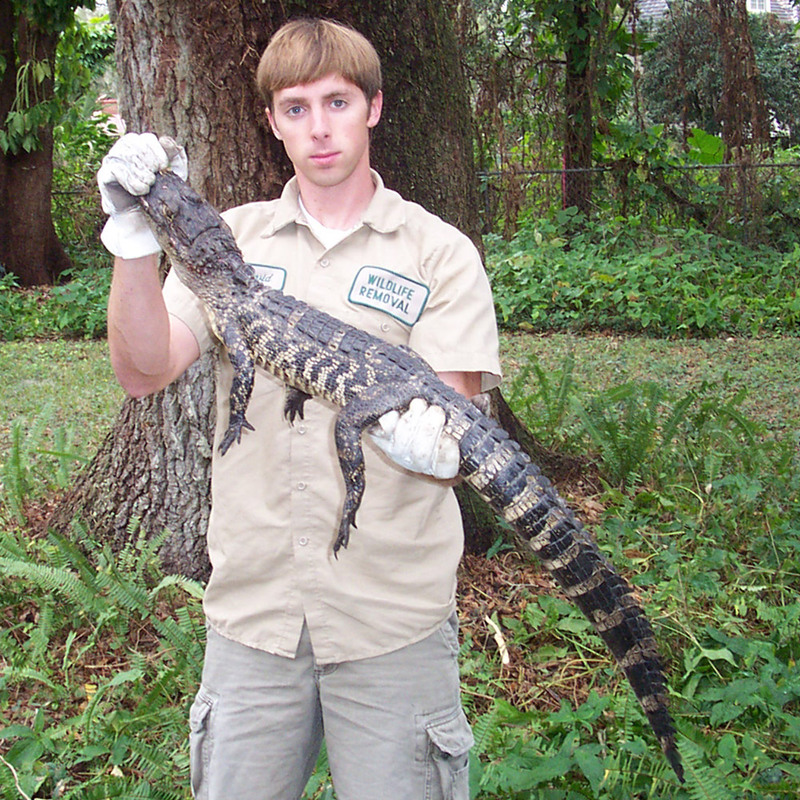 The gator entered one of my traps. 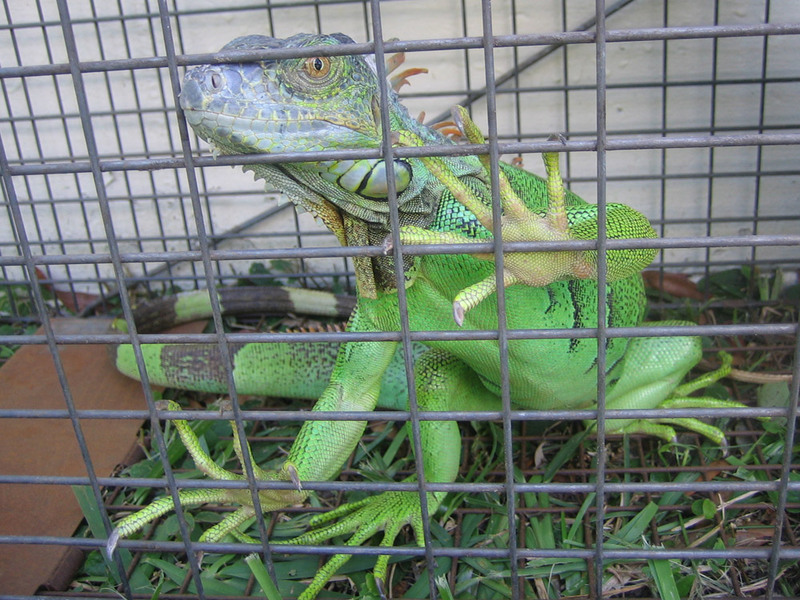 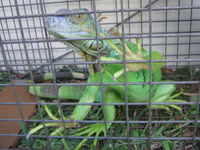 I caught this iguana off of a roof. 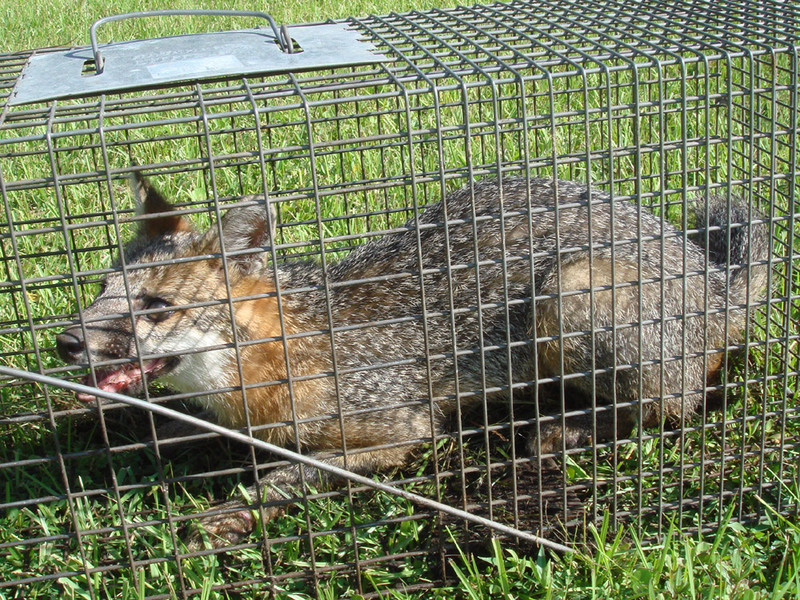 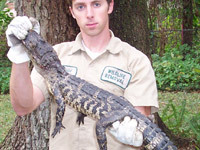 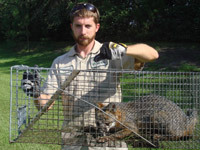 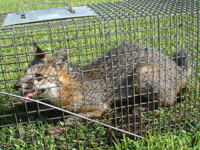 The Florida fox is a bit mangy. 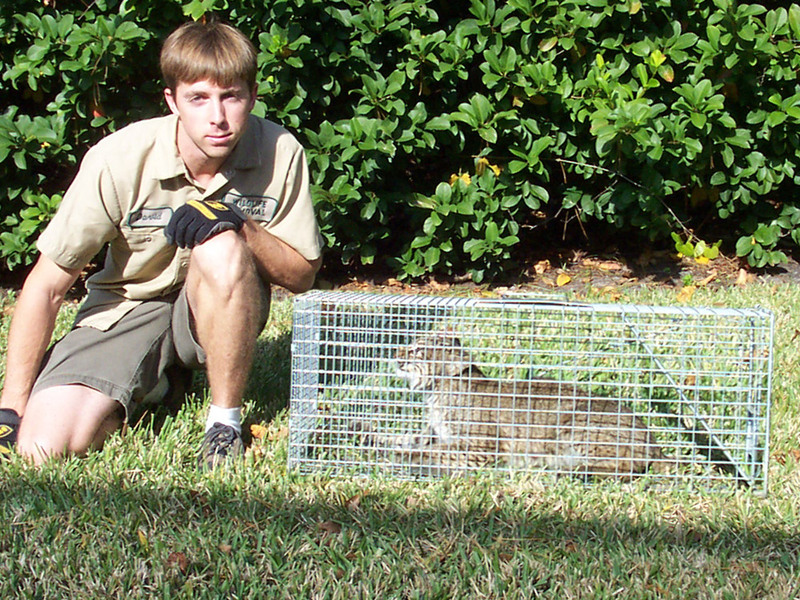 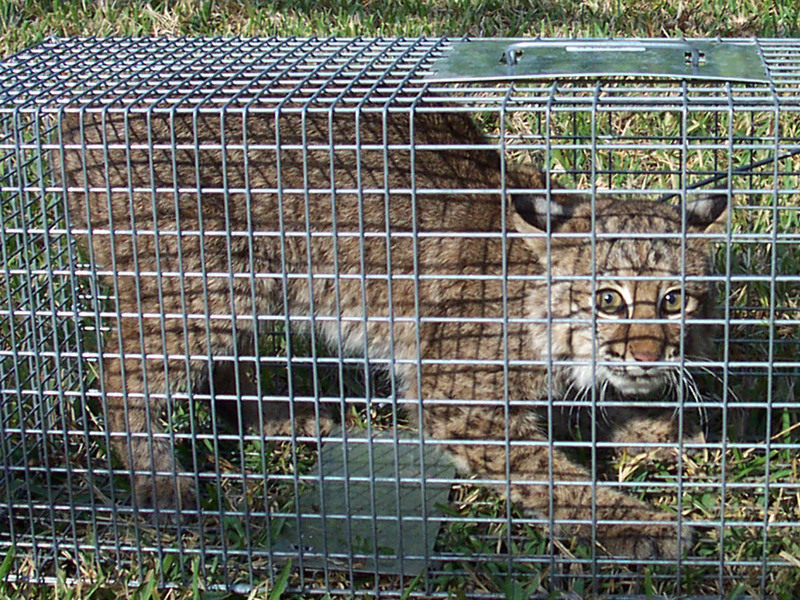 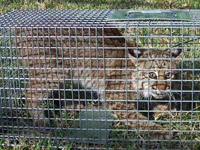 The Florida Bobcat is beautiful. 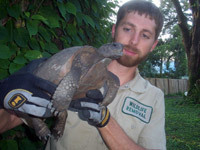 This is a Gopher Tortoise. 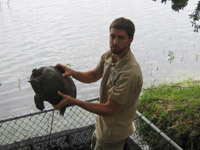 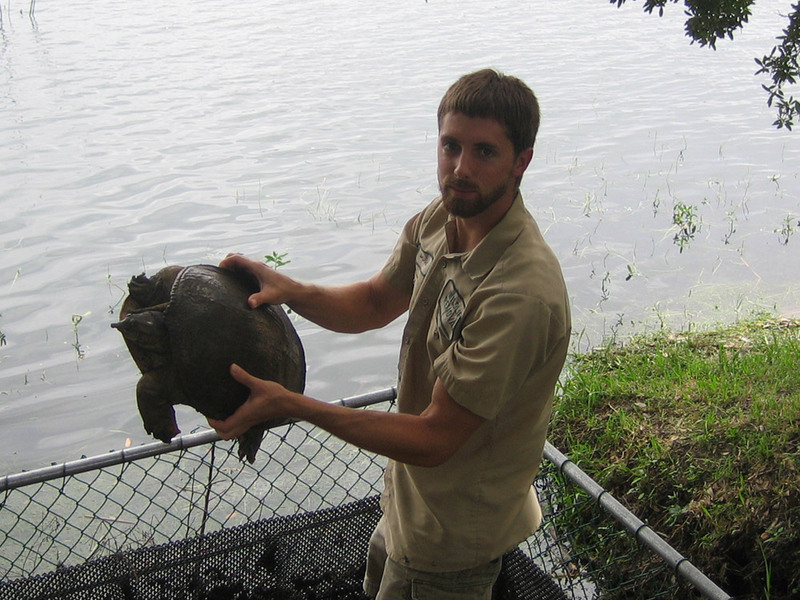 This soft-shelled turtle was stuck. 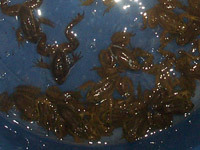 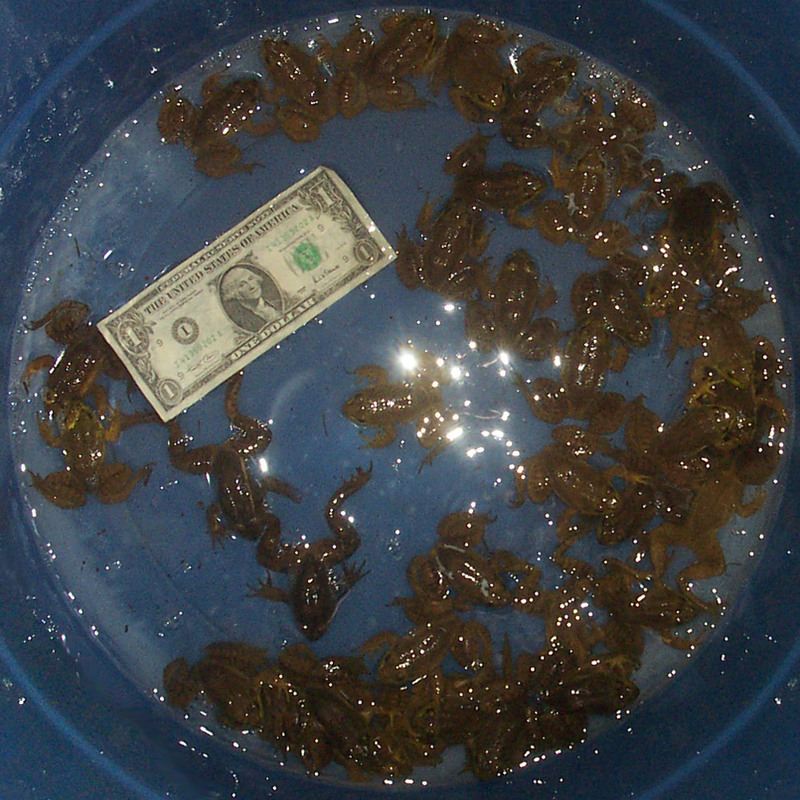 I caught these 44 frog out of a pool. 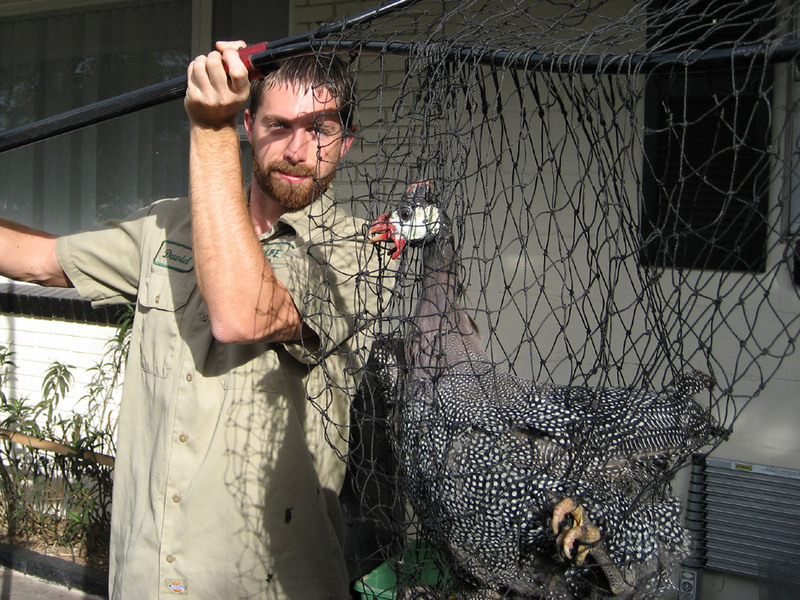 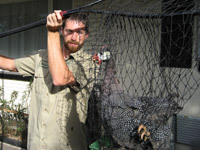 An apartment told me to catch this hen. 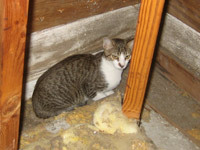 Stray cats were going into the attic through this vent next to me. 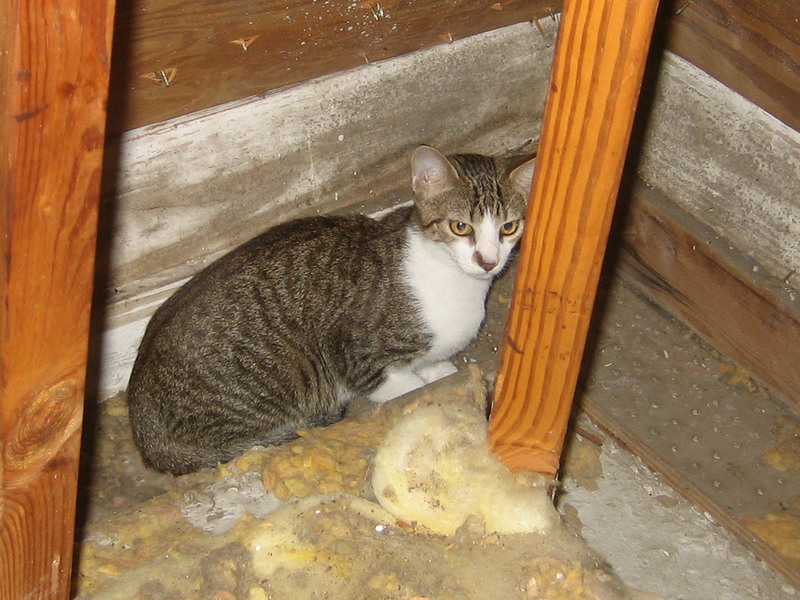 Here's a photo of one of them inside the attic - I saw six inside. 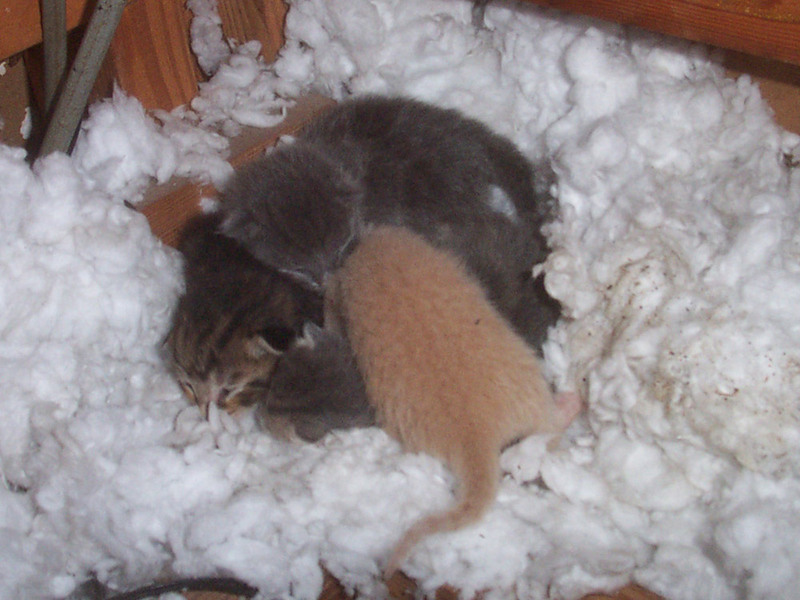 Sometimes a female cat will have a litter of kittens inside an attic. 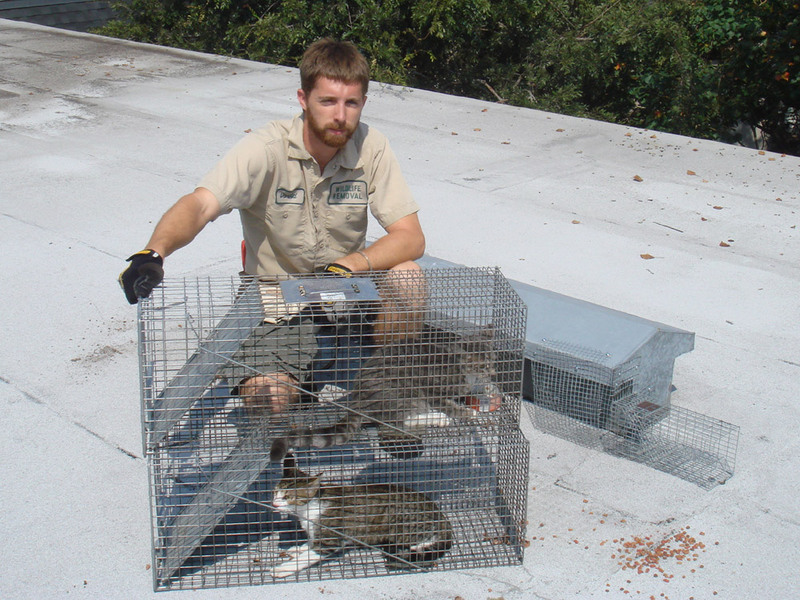 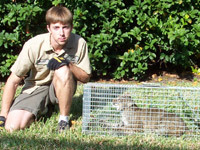 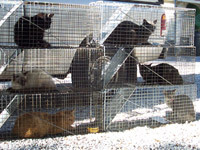 All trapped cats go to the local SPCA or county animal services. 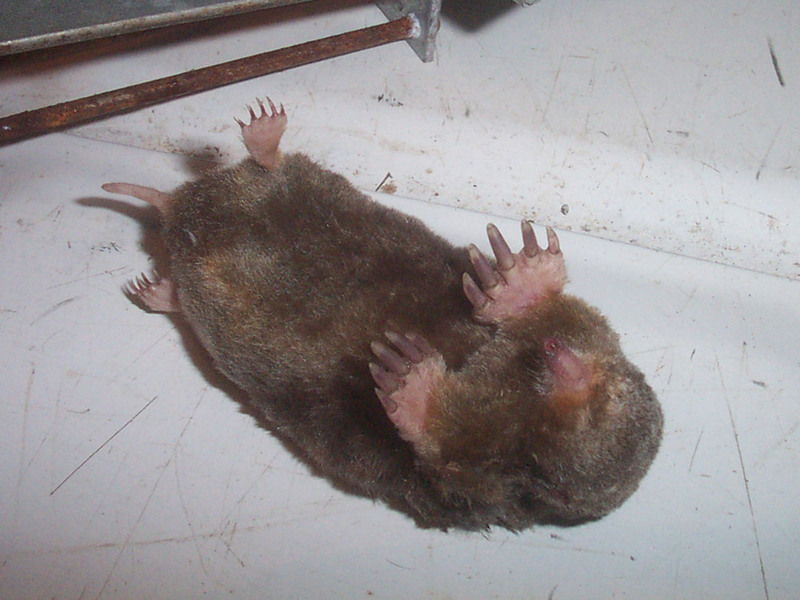 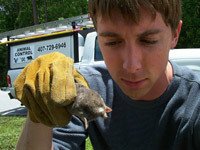 I don't do a whole lot of mole work. Moles are hard to catch. 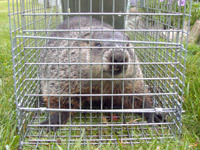 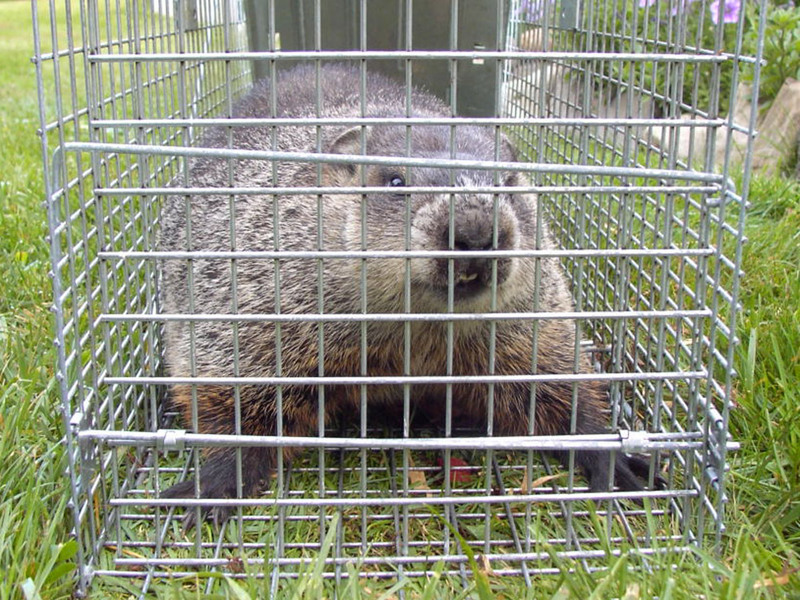 Here's a groundhog that my friend caught.